Trusted models are provided for optimized Giga Panorama, using profesionnal lens. 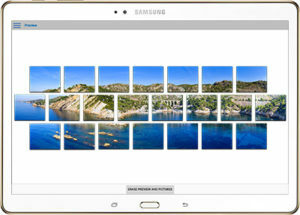 Templates are integrated into the app and available on www.smartaerial.app<br /> For example, the 8×3 model allows an ultra high definition horizontal panorama with an horiztonal 120° field of view. Final image resolution is above 400 Mega-pixels (with 45mm camera lens). Camera positions are overlapped with an optimized pattern to minimize the distorsion and the vignetting in the same picture corner. This technic improves the stitching process with your third-party software. 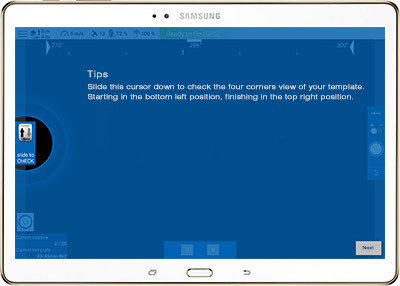 The field of view for your final panorama is visualized prior to your capture. Thus the framing is optimized related to your targeted panorama. 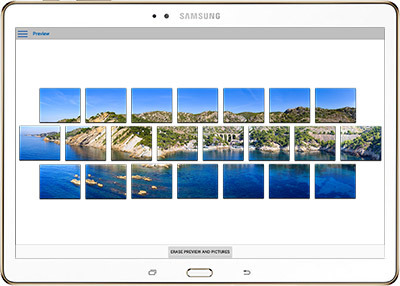 A preview of your panorama is available with SmartAerial PANO just after your capture with thumbnails. It allows to check your operation during the same fly. Caption duration is optimized for each template to reduce the flying time. It manages also caption mode in Aircraft / Gimbal rotation mode. Panorama caption can be suspended at any time. Pause and Resume functions allow speed, aperture or exposition corrections. Camera presets are dynamically adjustable during the capture process. 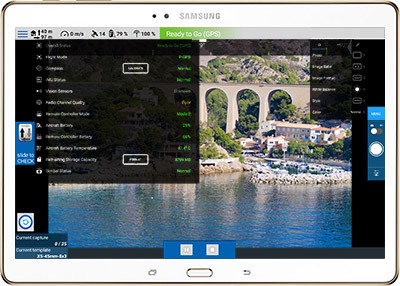 They are also designed as standard DJI Go App style. (*) Not supported by the Zenmuse X5 Gimbal (i.e. Inspire 1 and Matrice 100).